Today I have some questions for you! I'm slowly being dragged into the high-tech world and am learning to use Facebook. 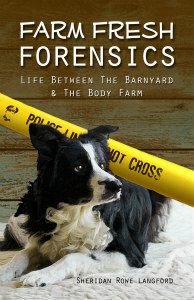 I've set up a Facebook account for Farm Fresh Forensics, but I still have to learn how to put a button on the website so readers can find it and link to Facebook. Do you guys use Facebook? And Twitter? How many of y'all actually use Twitter? It seems that the whole world is tweeting and I'm clueless about it. I'm on Day 6 with NO FRAPPUCCINO!!! Can you believe it? After over 13 years of drinking little bottles of Starbuck's Mocha Frappuccino like a crack addict, I'm finally kicking the habit! Other Half and Son added it up. Last year alone, I spent over $1600 on my frappuccino habit! Eegaads! It had to stop. Do you know how many cattle panels I could have purchased for $1600!!! Do you know how many sheep I could have purchased for $1600!!! At 180 calories each, with 2-3 per day, do you know how many calories that is???? Heck! 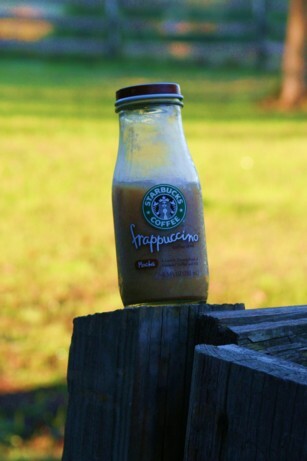 I can lose weight without doing a thing but quitting frapps!!!! 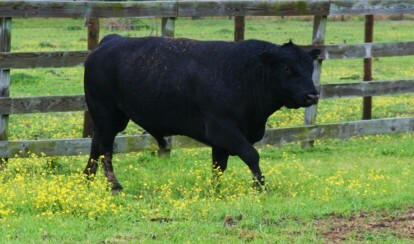 The new Angus bull arrived yesterday. He is just a baby, but what a Chunky Monkey! He's a short little dude too, but when bred to the maiden heifers, we should have no calving problems. Little calves that gain weight fast works for me! When this dude ambles across the pasture, he has so much muscle I start to drool. All that muscle on grass - YES! Other Half started calling him "Bully" but I think we should call him something like Angus McBull. Other Half doesn't get creative in the name department. "It's a bull. Call him Bully." "It's yellow. Call her Yellow Cow." "The horse is big, brown, and fat, call him "Bear." Have never seen Facebook, never sent a Tweet/Twitter, nor a text msg. I am living in the Dark Ages...and yes I remember Larry, Darryl, and the other brother, Darryl. :-) I'd rather spend my time out in the sunshine with live people, ponies and assorted other live animals. Believe me, you have no time for twitter. Nobody with a life does. Facebook is ok, you can probably use that. You will probably find that it duplicates what you are doing here already. Hopefully it won't double your effort for the same end result. I only look at Facebook every couple of weeks. I post real life stuff, most others on it are addicted to fake life stuff, like fake farm ville nonsense and they will bombard you with requests for fake tokens and other nonsense. You will have to block a lot of requests, unfortunately. Go forth with caution. You guys are probably right. Time is certainly a factor. I'm on Facebook but have a hard time keeping up with it. If Twitter demands more time than that than I probably should pass.